Warsaw, c. 1900. Stylized cartouche form. Chased with scrolling designs, leaves and arches. 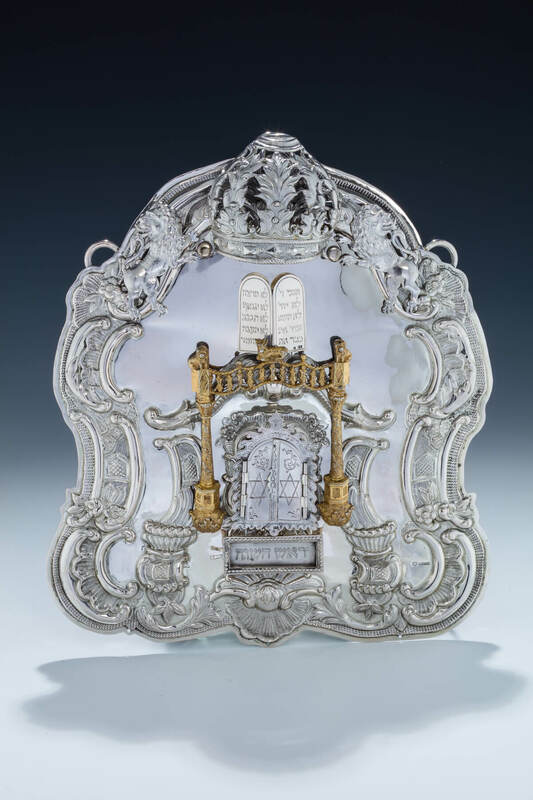 With gilded solomonic pillars surrounding a silver ark which opens to reveal a miniature torah. Further decorated with applied crown, the decalogue and two lions. Inscribed: open the gates of righteousness for me that i may enter them and praise the lord”, psalm 118:19. 12.6” tall.